Market Equations India offers Fixed Income and Credit Research services to cover initiation coverage, credit analysis, cash flow modeling, rating forecasts, portfolio tracking, capital structure analysis, thematic studies and risk reporting. Our Fixed Income and Credit Research and Analysis outsourcing services for buy side and sell side firms across segments, products, sectors and geographies is aimed at helping them free up valuable analyst time in-house that can be focused on revenue enhancing activities. 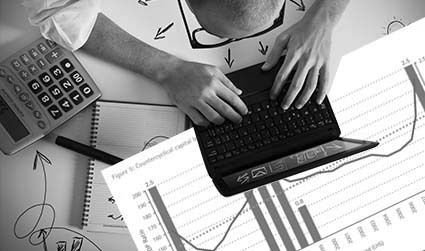 We offer cost effective - high quality Fixed Income and Credit Research Reports Outsourcing services to equip and empower both buy side and sell side firms globally with customized, insightful and vital investment advice and intelligence that contribute to their long term growth and profitability. Our qualified analysts assess the capital structure of the company with respect to financing assets through means of debt, equity and securities thereby charting out the structure of its liabilities to facilitate company's progress. At Market Equations we help you with analyzing how well you can clear your short term loans through the traditional and reliable current, quick / acid test and cash flow ratios, thereby measuring your company's liquidity status. Our data intensive approach enriches the relation between debt, growth and inflation. Federal, state borrowings, government initiations and various other factors are analyzed to understand the empirical regularity for various countries. Our extensive research work helps outline the various findings, reasons to be a cause for the same and its implications in the performance, thereby summarizing the highlights in a nutshell for quick consideration. We take into consideration attributes like business mix comprising of pricing, products and distribution channels; industry, location, revenues, market capitalization, etc and analyze comparable companies to be aware of the peer group standings in the industry. We embark on thorough study of maturity structure of a company's debt by recording underling bond that matures and charting the return of the controller as per value plus any accrued dividend to reduce its impact on investment decisions. Considered as the crux of credit research, the rating analysis represents as the indicators of investment quality. We track major agencies accessing credit worthiness like Moody, Standard and Poor, CRISIL, ICRA, CARE and Fitch in order to congregate greater credence to financial representatives and formulate guidelines on institutional investments. Market Equations conducts a quantitative analysis of a company's financial statements pertaining to its financing, liquidity and performance. Also referred to as banking / financial covenants, our experts carry out a profound analysis of the agreements between a company and its creditors with respect to operational functions and debts acquired to propose viable ways of handling debts better. Our study outlines the risks to which a company is exposed. Our analysts conduct a comprehensive risk analysis to study the possible threats a company is likely to face and its consequent adversities that may agitate. Market Equations analyzes Off-Balance Sheet financing to obtain assets through operating leases and using them without having to report them in the balance sheet. Market Equations India offers Fixed Income and Credit Research Reports and Analysis services to cover initiation coverage, credit analysis, cash flow modeling, rating forecasts, portfolio tracking, capital structure analysis, thematic studies, risk reporting and ongoing research maintenance. Our cost effective - high quality Fixed Income and Credit Research Reports Outsourcing services equip and empower both buy side and sell side firms globally with customized, insightful and vital investment advice and intelligence that contribute to their long term growth and profitability.